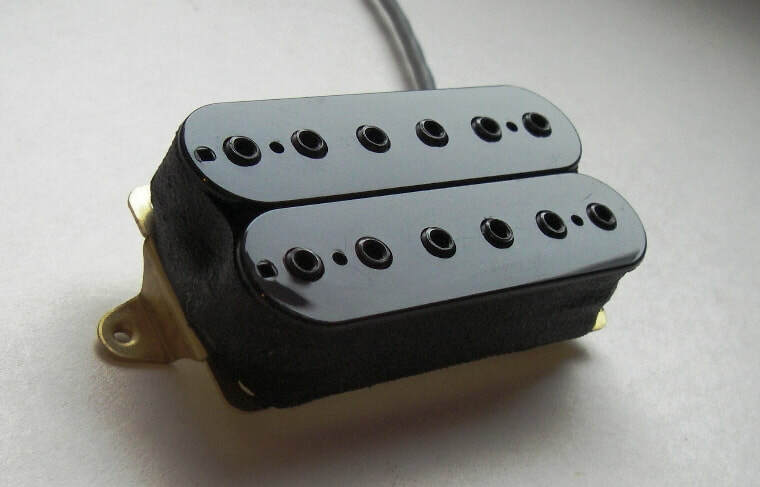 This pickup is based on old Dual Sound humbucker I own. The pickup is faithful to the original design. Brass base plate cuts slightly highs making the sound lightly mid boosted. The sound is still NOT muddy. Original size ceramic block magnet with a steel blade. Awg 43 magnet wire. Great rock/metal pickup, but works amazingly well with variety of music styles. 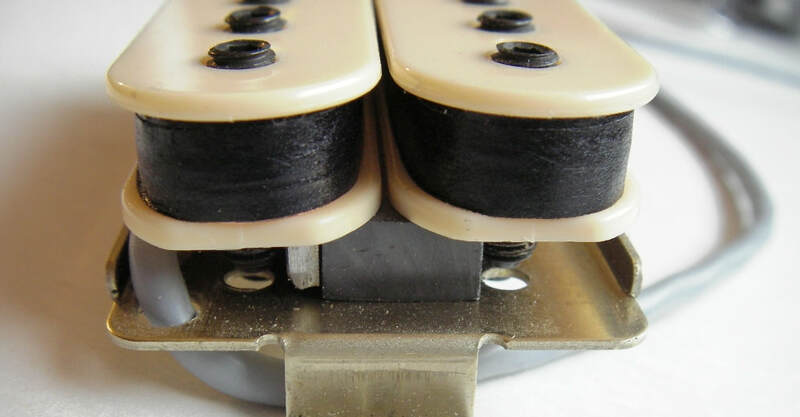 Matching neck pickup available with approx 20% less turns of magnet wire. Pole piece spacing: 52 mm or 49.2 mm bridge, 49.2 mm neck. -Black, cream, blue, clear and red.